Our specialist Model Railway sale held on 15th July 2015 had excellent attendance in the room with over 80% of lots selling on the day. 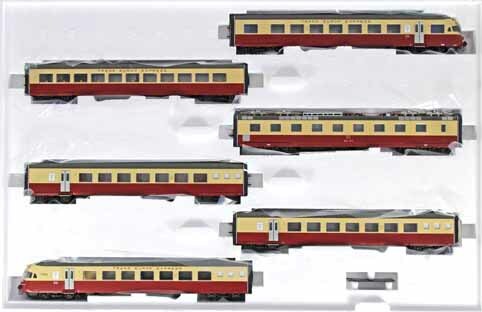 In this sale the O gauge section included 9 lots of modern ACE Trains. Though modern, the detailing on these models make them much sought after. Examples include this LMS satin lined black Stanier 2-6-4T tank locomotive No. E/8, which sold above estimate for £424 including buyers' premium. This LNER pre-war garter blue 4468 ‘Mallard’ A4 Pacific 4-6-2 locomotive and tender No. E/4 realised £578. This Southern Rail malachite green 21C136 ‘Westward Ho’ Bullied Pacific Class 4-6-2 locomotive and tender No. E/9 achieved £507 including buyers' premium. The Bassett-Lowke brand was ever popular. 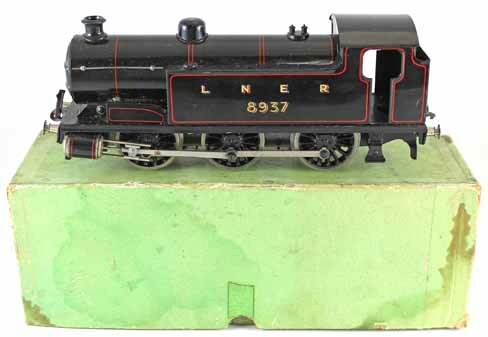 This 12v electric Standard Tank locomotive 0-6-0 LNER 8937, in black with red lining, no. 5305/0, described as 'excellent', sold for £283. This more modern Bassett-Lowke by Corgi, LMS maroon 6201 ‘Princess Elizabeth’ 4-6-2 no. BL99006 locomotive and tender, described as 'mint and unused', achieved £519. 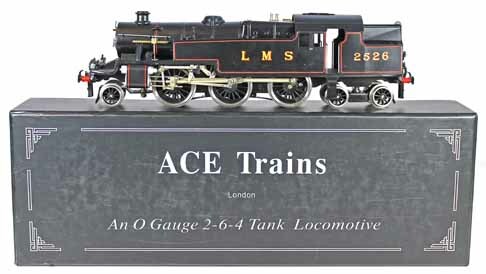 Moving on to the OO/HO gauge section, modern locomotives were popular with bidders. This Marklin 3-rail SK800 4-6-4 Streamlined locomotive and tender realised £377 including buyers' premium. And this 3-rail SBB/CFF/FFS class Rae TEE electric powered rail car train set with digital sound sold for £318. There were 5 lots of Trix 3-rail Fine Art series of locomotives, all in attractive wooden presentation boxes, which sold for a combined figure of £1,852. The sale ended with the Wrenn section, a fine example of which is this LMS 6102 ‘Black Watch’ locomotive and tender. It achieved £188. Our next Model Railway auction will be held on Wednesday 16th September 2015. The full catalogue for this sale will be on our website in the next few weeks. Keep an eye on our Twitter and Facebook accounts which will include updates of our latest auction news. Are you thinking of selling your model railway collection or perhaps part of it? Would you like us to value your collection and give you advice on how best to market it? Visit our model railways department page for more information or call us on 01926 499 031 and ask to speak to one of our experts.